I just want to mention a couple of things… I have had several comments saying they could not figure out how to subscribe to this blog so that they would get it as an e-mail every time I post. Well if you look on top left there is a little HOME SYMBOL and if you click on that it will put a spot to subscribe over on the right. There you will need to enter an e-mail address and I am not sure but if you enter a business e-mail, ie your work e-mail, it may list you as junk or spam so suggest you list your home address. 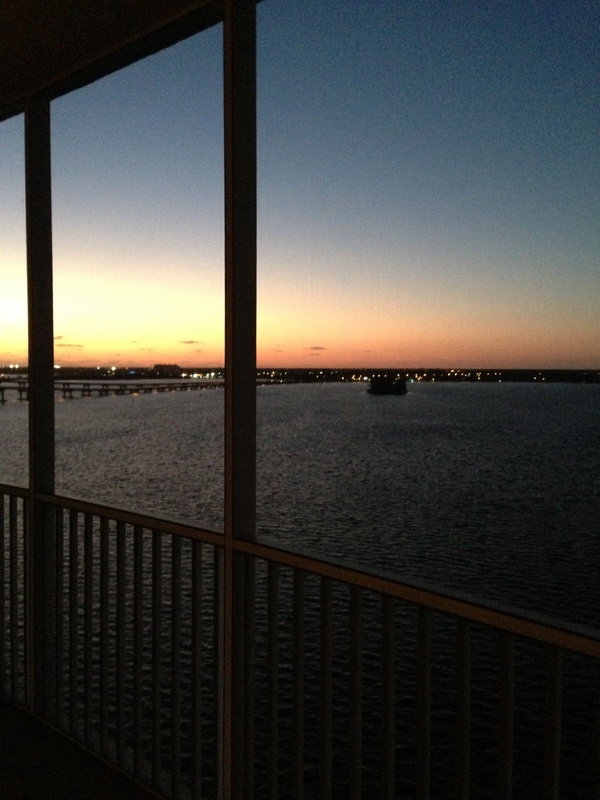 Photo above is sunset off my lanai. Here is one of the most impressive techniques I have seen in a while. It looks so dimensional when its finished and it also looks REALLY HARD…but the good news is that if you watch the video below and follow her steps its really not nearly as complicated as it looks. IE that’s impressive cause it makes your cards looks soooo good and you don’t have to tell them that it was easy… just say THANK YOU when they are amazed over your card. lol..
First you need to cut your papers per her sizes…you could change those but as I have said before I am a lazy stamper so why would I try to re-invent the wheel…lol . 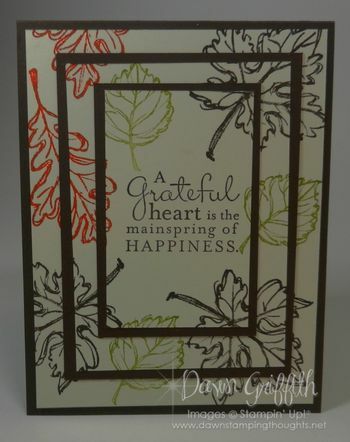 I have also been looking for a design for my THANKSGIVING/FAll CARD so I also used the leaves but she does show a sample at the end of a snowflake design. 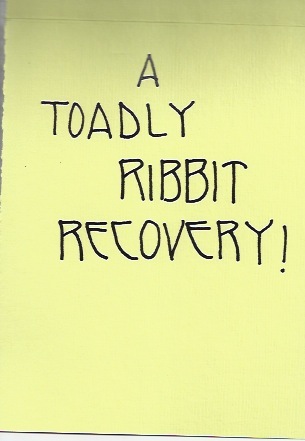 Both of them are open or what I call outline type of stamps….so I wondered would this look as good if you were doing a solid type stamp well it just so happened that I had a frog on my desk that I was going to use as a ” wishing you a TOADLY ribbit recovery” So my sample is using a solid image. See all gone… so if you had solid flowers etc I think it will work pretty much the same as the outline images. 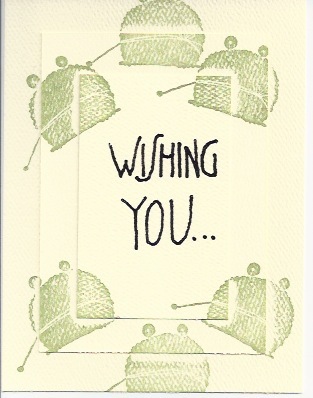 The inside of this card was for a friend who had recently had surgery. Ok so now once again my suggestion is that you cut up white pieces per her measurements so that you have them ready for when you want to make another. I think cutting the pieces is a good activity for while you are watching tv. again following her directions layer all three white pieces together centering them just by your eye… then stamp them all three leave space in center if you are writing on the card or go ahead and stamp it but don’t go off the paper with that stamp. Gently pull cards apart and and layer them with the darker background …if you want to use a brad I would put it in before you adhere it to the base just so you don’t see brad prongs on the inside of your card….AGAIN I do think this is very impressive and not as difficult as it looks ….however, its perfectly ok to let your recipient think it was really difficult. lol..I promise I won’t tell. PS… you should be able to highlight and copy these written directions and paste them onto a word/pages document save it and print it. If you think these blogs are getting shorter…you are correct we are headed into holidays and I have lots to do so these are going to be short and I hope sweet. 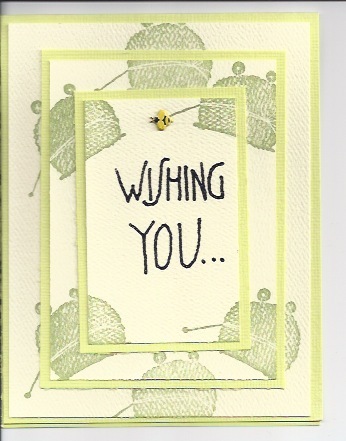 I am still waiting to see some samples of cards you have done…but not getting many…my mailbox has COBWEBAPHOBIA (coined by Elizabeth Walsh).